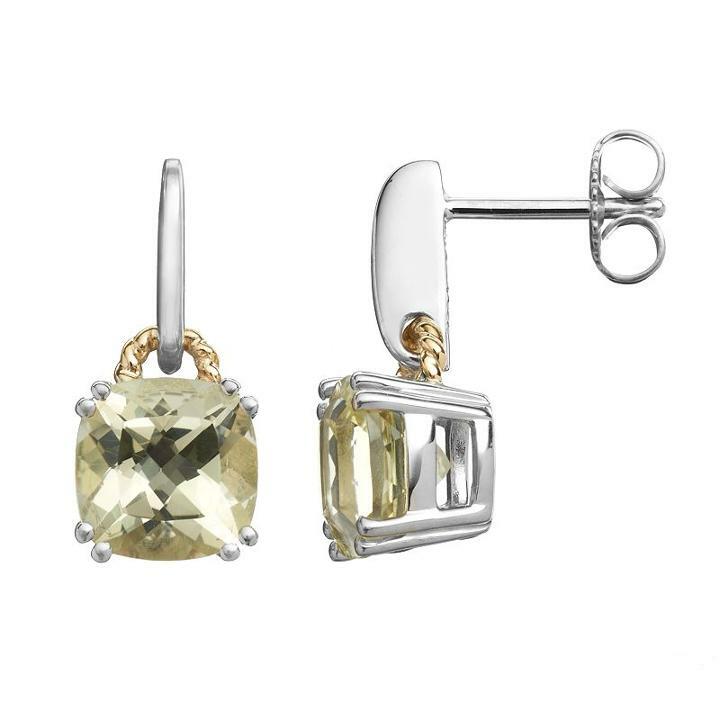 Cushion-cut lemon quartz stones give these earrings sparkling beauty. The sterling silver construction features 18k gold-over-silver accents, adding to the stunning allure. Comes in a gift box. Earring Details Length: .73 in. Backings: post Metal: rhodium-plated sterling silver, 18k gold over silver Stone Details Stone type: genuine lemon quartz Cut: cushion Setting: prong Size: One Size. Color: Yellow. Gender: Female. Age Group: Adult.